Meet Tom Johnson – an award-winning Realtor, as seen on HGTV’s “House Hunters Family” and one of the Denver/Aurora Metro areas top real estate professionals. 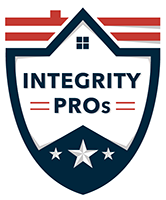 As Co-Founder of The Integrity Professionals Team of Your Castle Real Estate, Tom epitomizes integrity, dedication, unmatched communication and high energy in every detail of your real estate transaction. Raised on a small farm in southern Ohio, Tom started his real estate training at the early age of 17 when he took his first college courses in “Real Estate Law” and “Principles of Real Estate”. His sense of adventure then led him to join the United States Air Force where he spent 21 years traveling and excelling through the ranks as a Law Enforcement Specialist and Security Forces. During his travels, Tom continued his education in Real Estate and was able to learn the craft from some of the best agents in several different states. Tom finally landed at Buckley Air Force Base in 2003 and quickly fell in love with the area which he now calls his home. After retiring from the Air Force in 2009 he obtained his Colorado Real Estate License and has quickly risen to the top 5% in the Denver metro area. Tom has extensive experience with all types of residential purchases however, it shouldn’t be a surprise that Tom specializes in VA loans, which is one of the most misunderstood loan programs for an inexperience agent and lender. He is the preferred Realtor for many military units on Buckley Air Force Base as well as the local retirement community. Your real estate experience will always go better with an experienced Realtor on your team to guide you through the entire process. With over 100 Colorado homes sold under his belt you can rest easy with peace of mind knowing Tom is handling the purchase or sale of your home. I can’t let another day go by without giving my feelings of selling my house and having Tom Johnson as my Realtor/friend. I first saw his picture last Fall. Seemed nice and friendly. I never thought there were any good men left in this world till I worked with Tom. He’s smart, witty, kind, caring and so amazing at his job. As a widow he made things go so smoothly for me in a stressful time. Thank you so much For everything you did for us. I look at you as friend/family now. God bless you. To just say Tom Johnson is a great Realtor doesn’t even seem to be enough. He went so far above and beyond for my family! When I was stressed out (which I do easily lol ) he was right there to put out my exaggerated fire lol. I’ve always been skeptical of Realtors, but after dealing with Tom I refuse to use or refer anyone to any body but Tom now. Also to see his dedication and determination on getting what needed to be done, Done, Shows how much he actually does care for his clients. Tom is more than just our Realtor he has become family!! Amazing guy! !